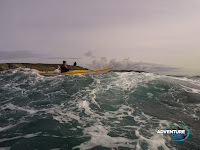 Amazing times, some interesting conditions, and a fantastic team achievement. Skills Development - Day 2. 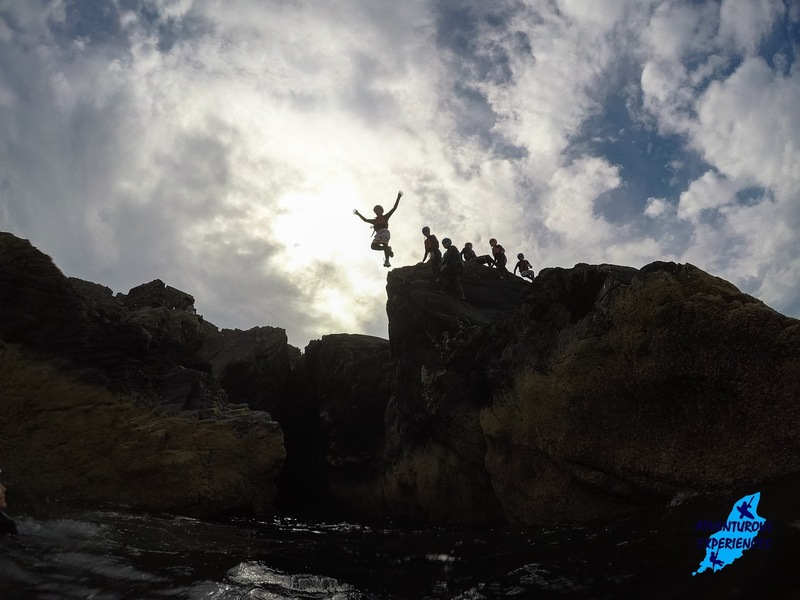 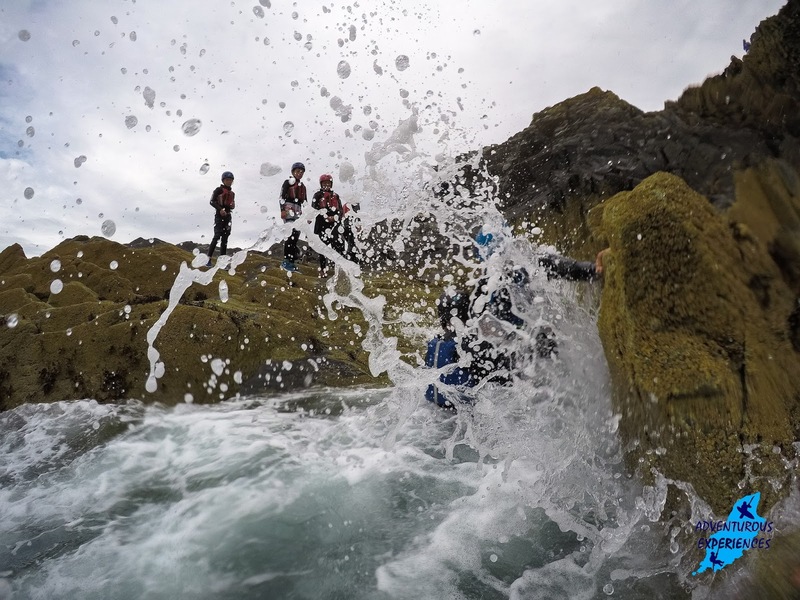 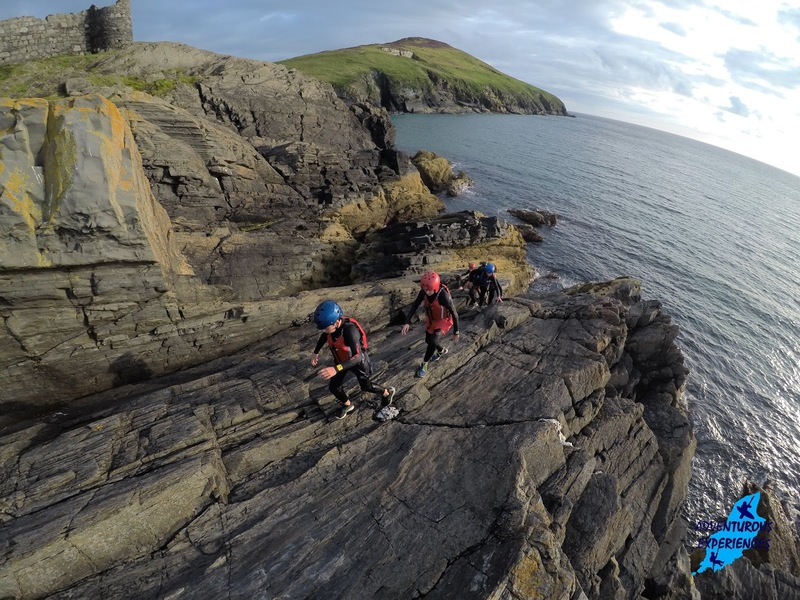 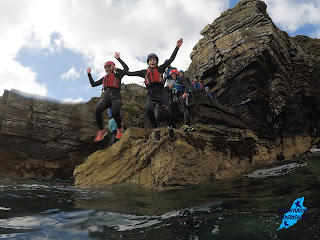 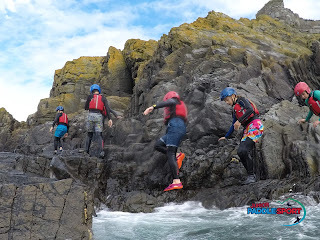 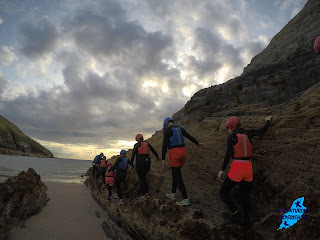 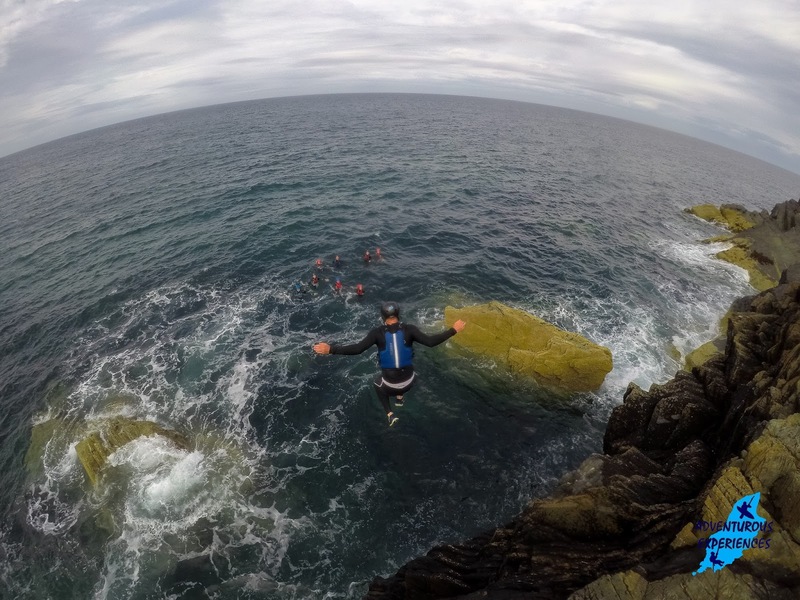 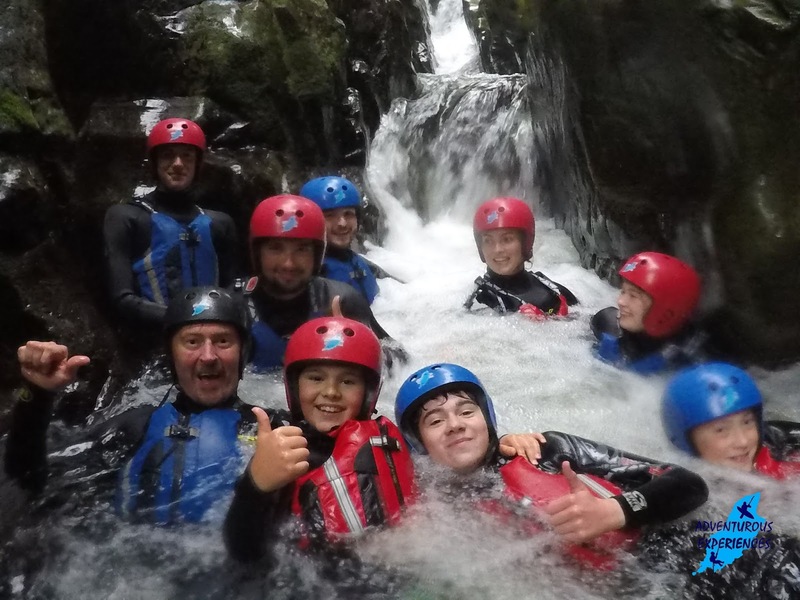 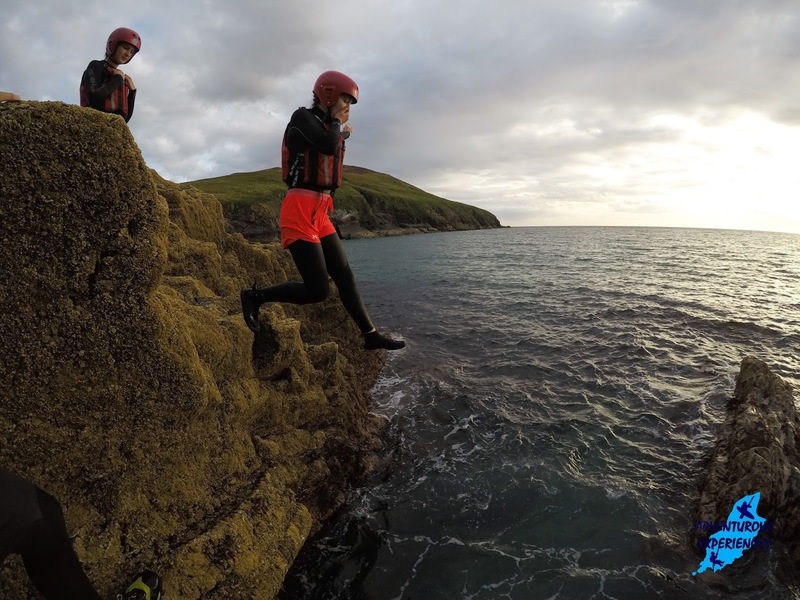 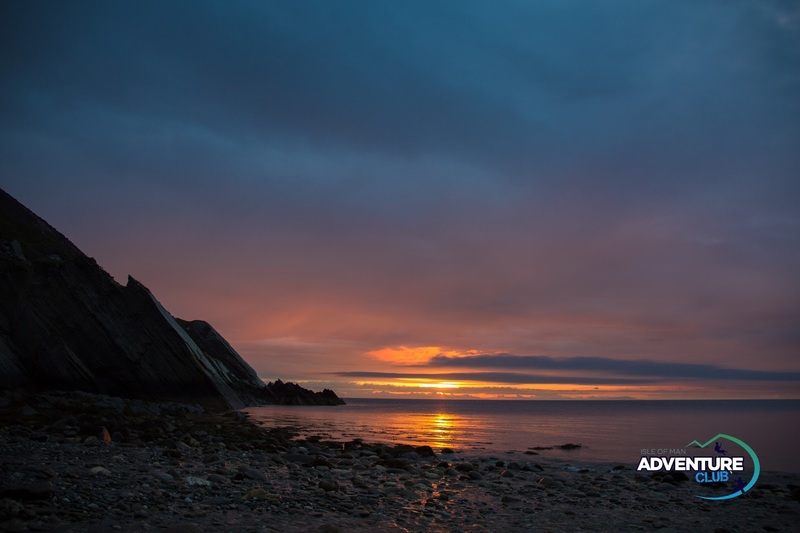 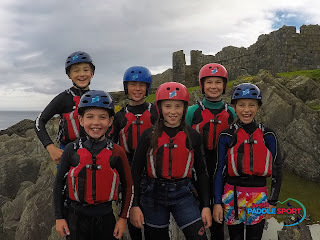 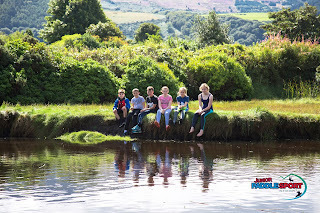 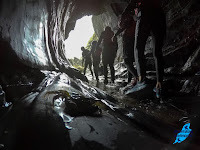 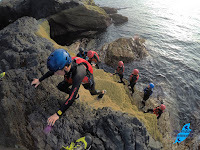 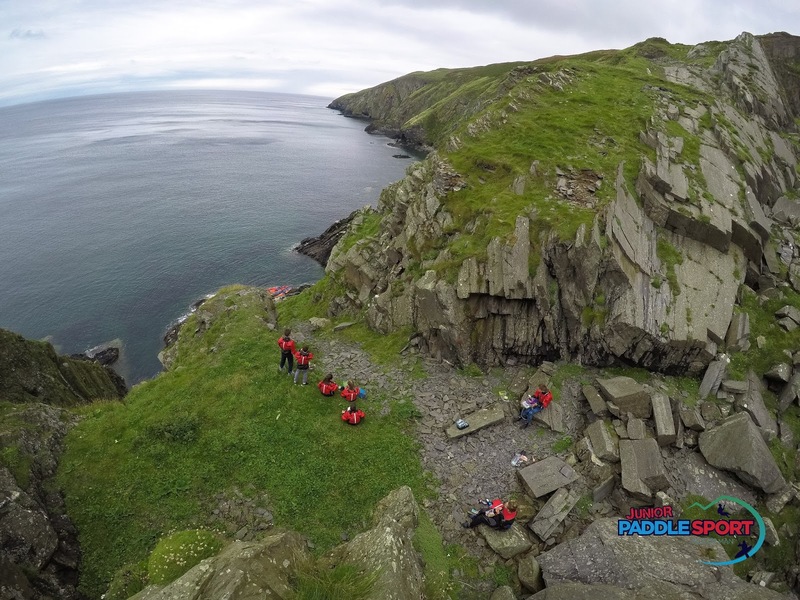 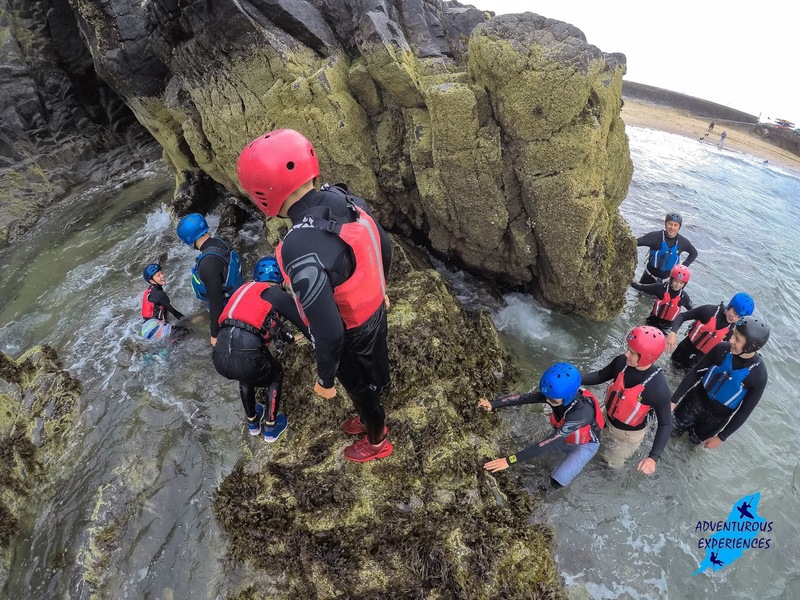 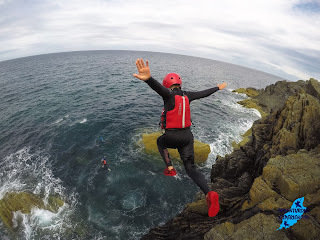 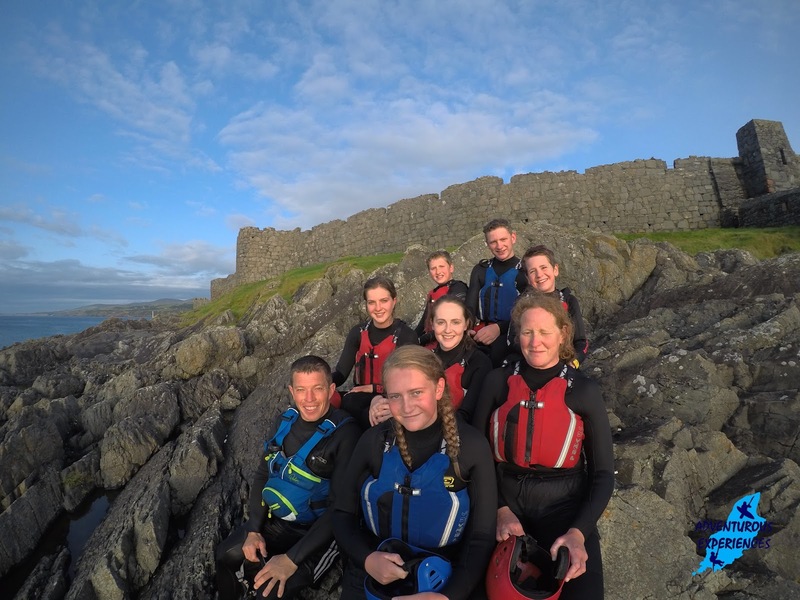 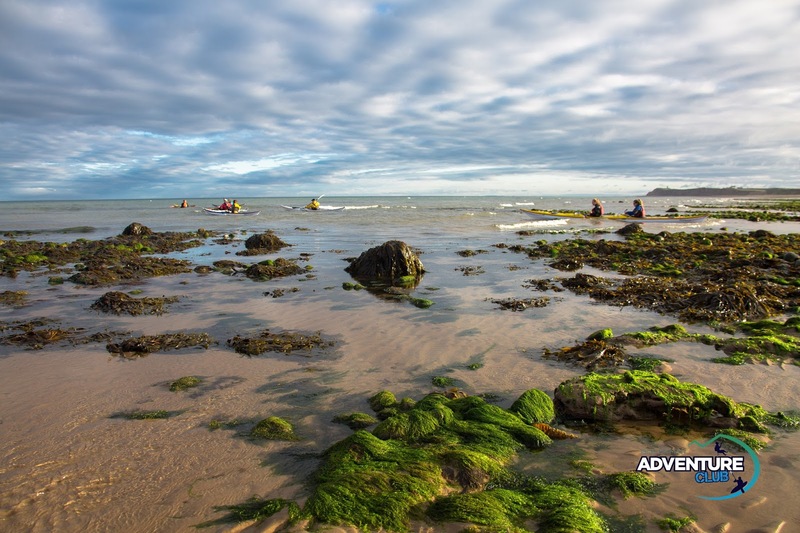 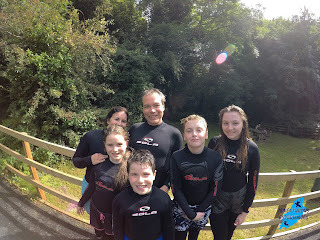 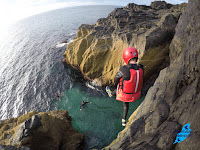 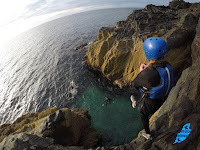 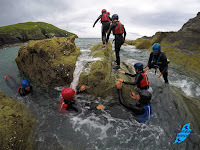 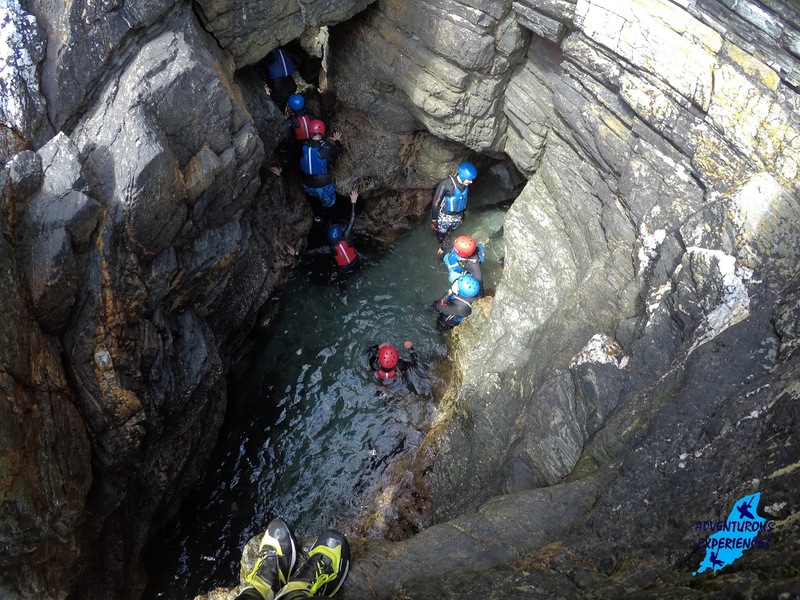 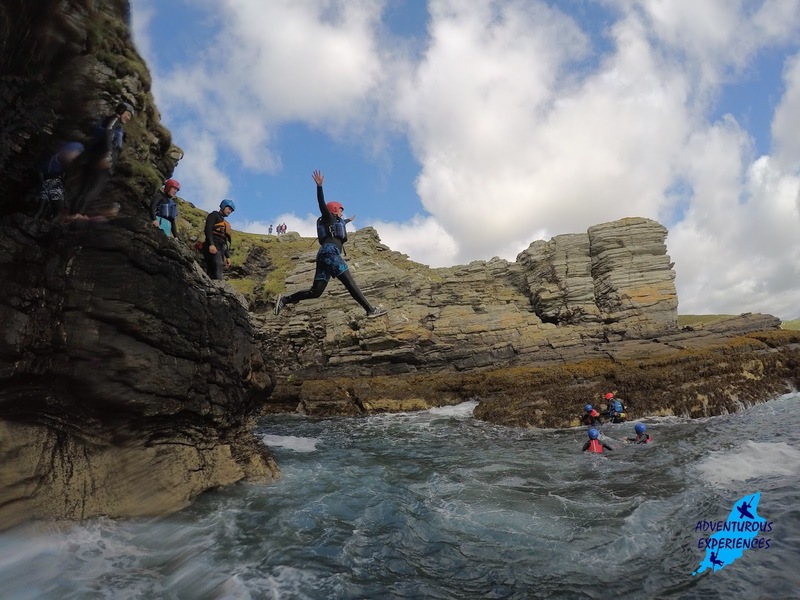 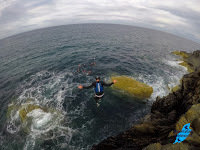 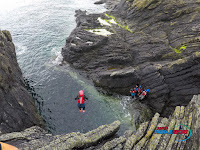 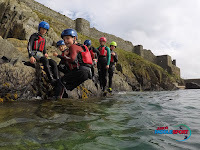 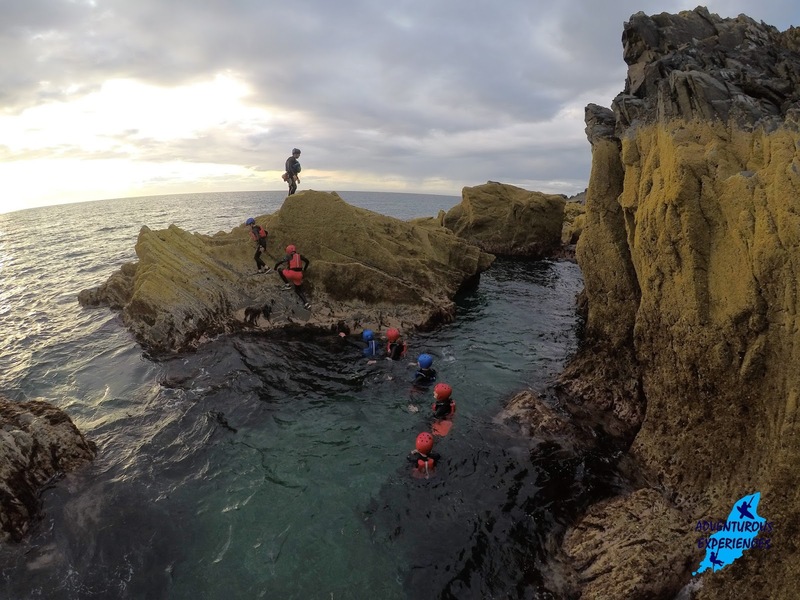 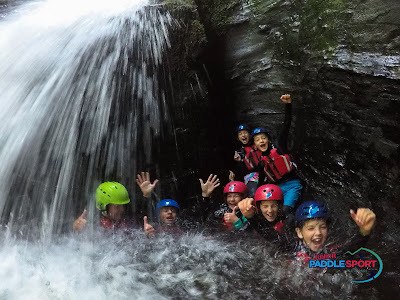 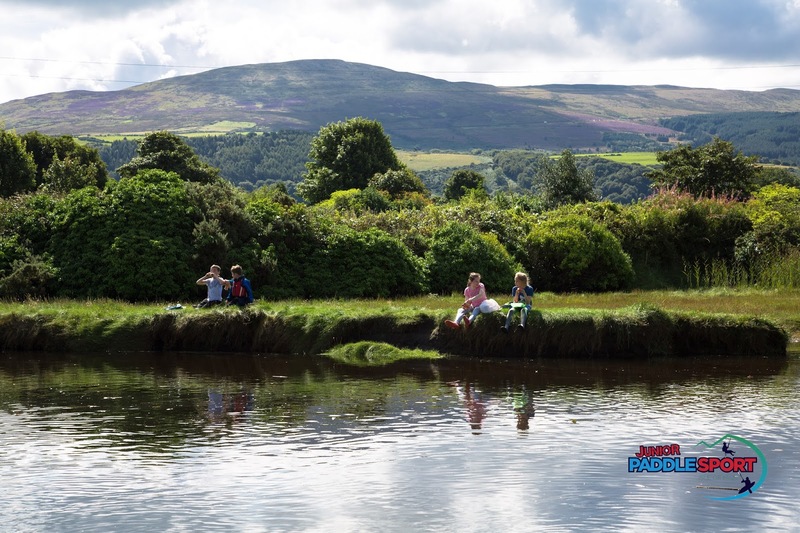 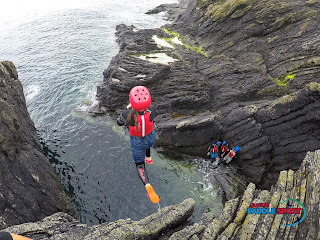 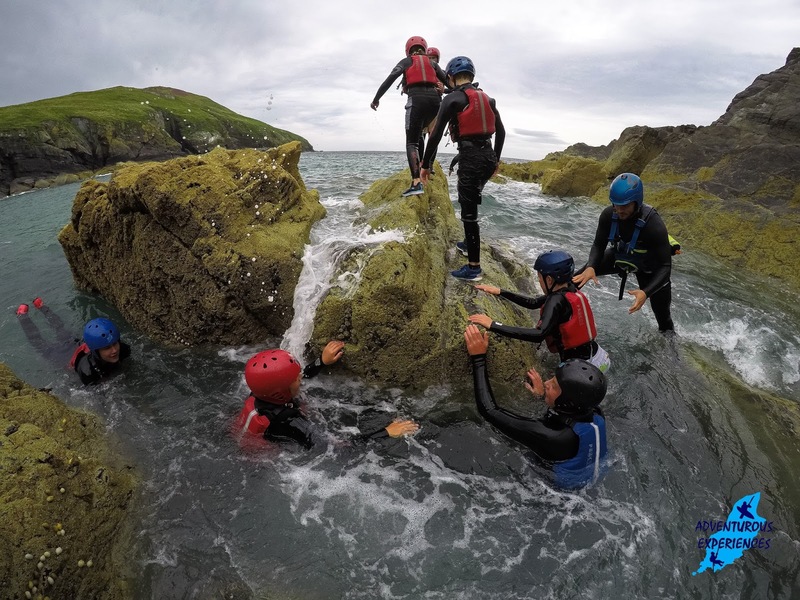 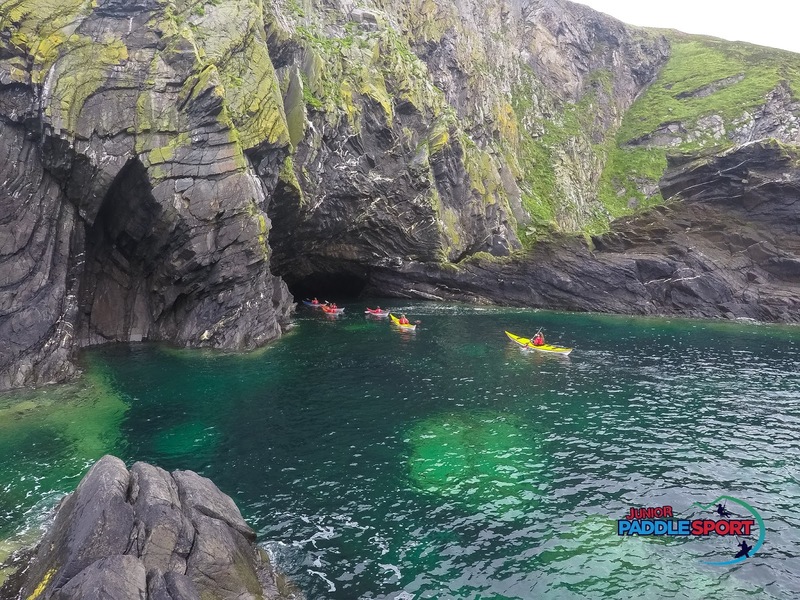 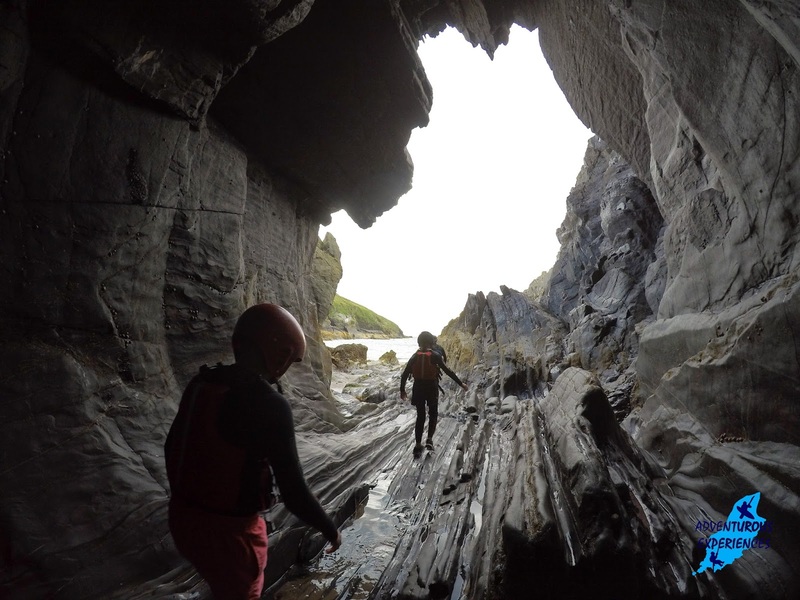 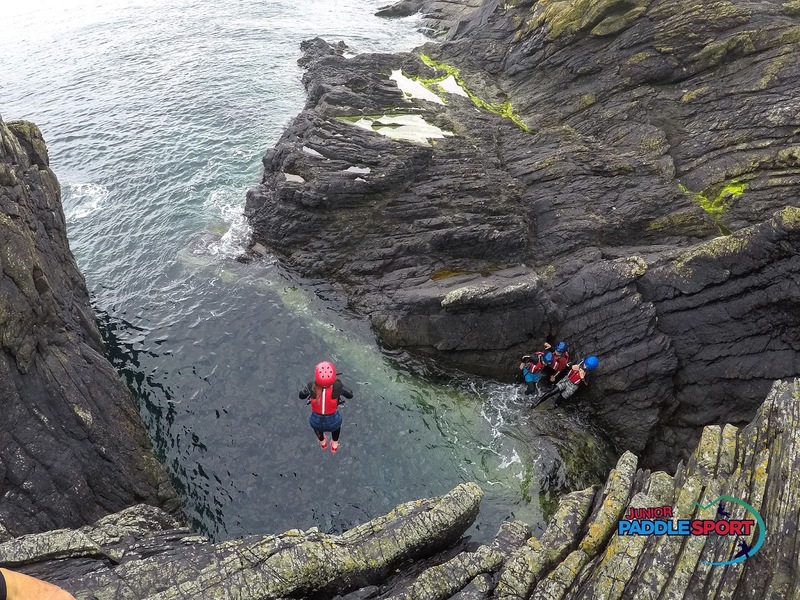 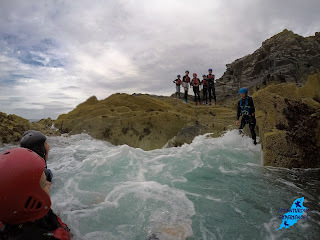 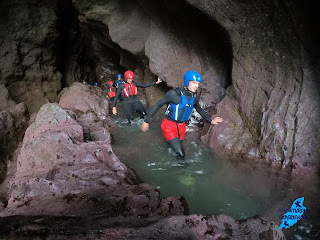 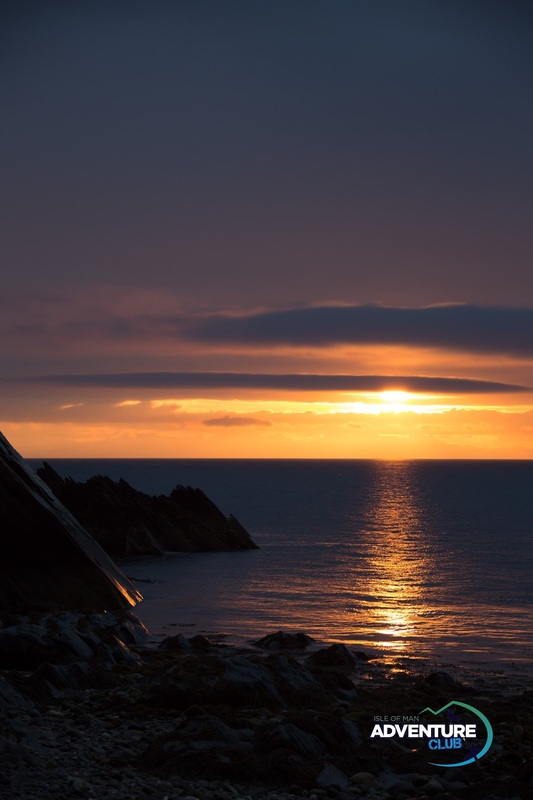 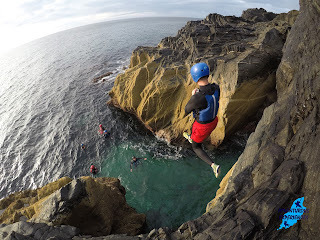 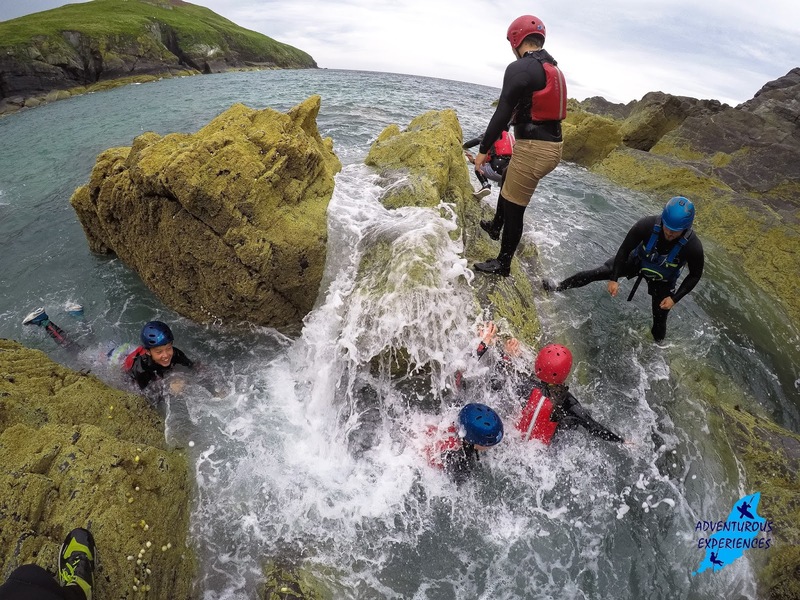 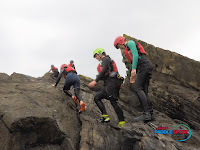 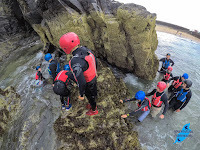 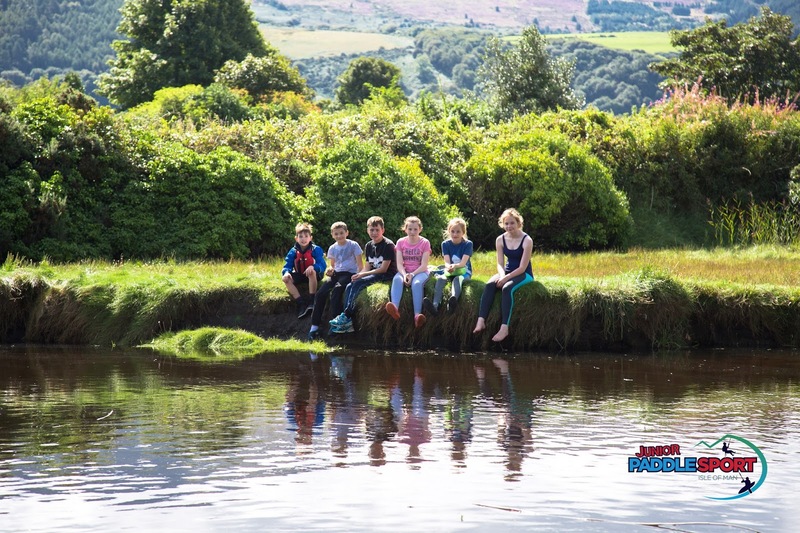 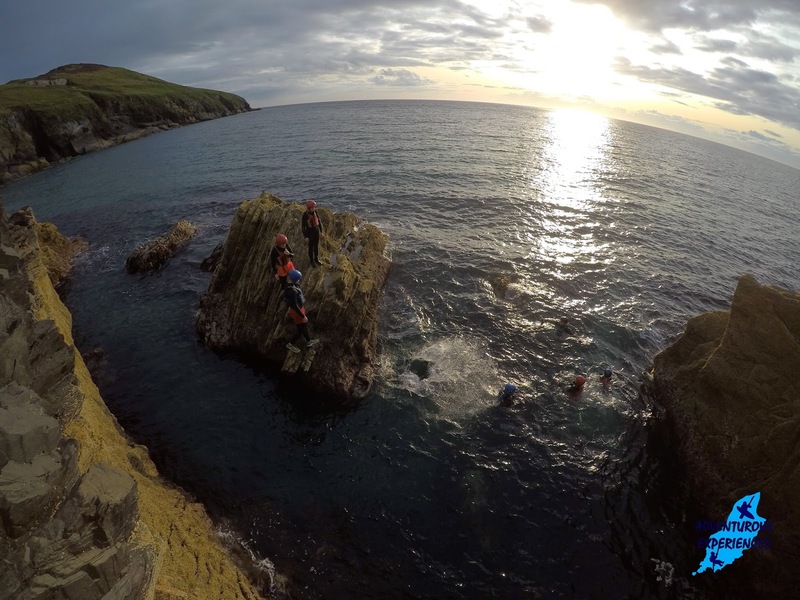 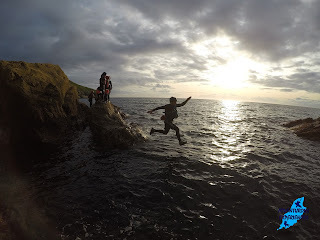 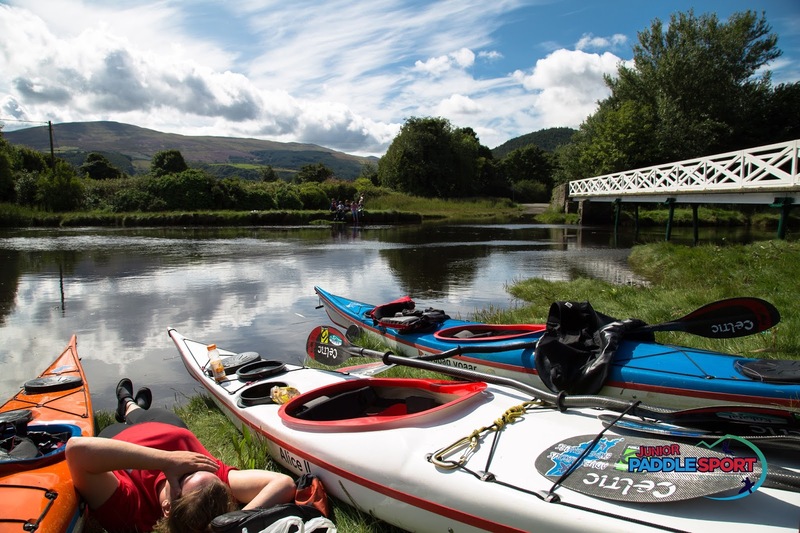 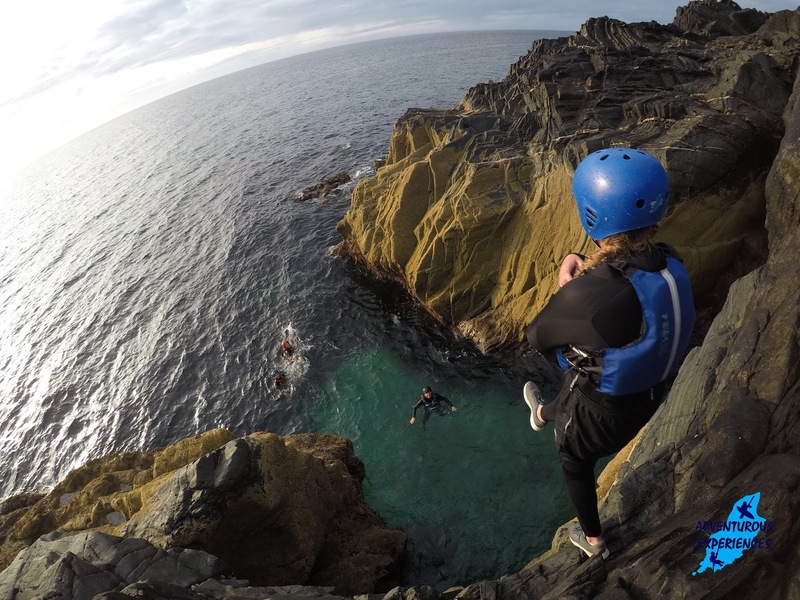 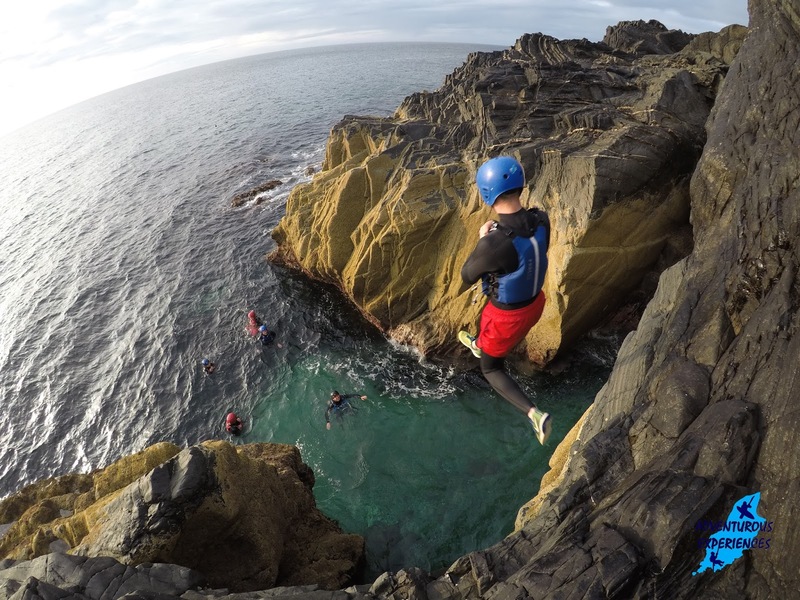 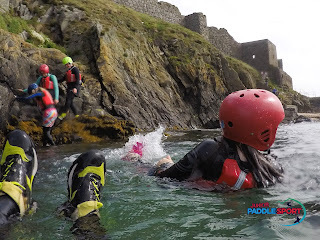 Our Youth Development week progresses with a Coasteering journey around Peel Castle in the morning, and our extended Gorge Scramble at Glen Maye in the afternoon, followed by some free-time at the bouldering beach, in really hot sunshine! 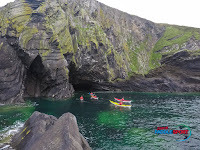 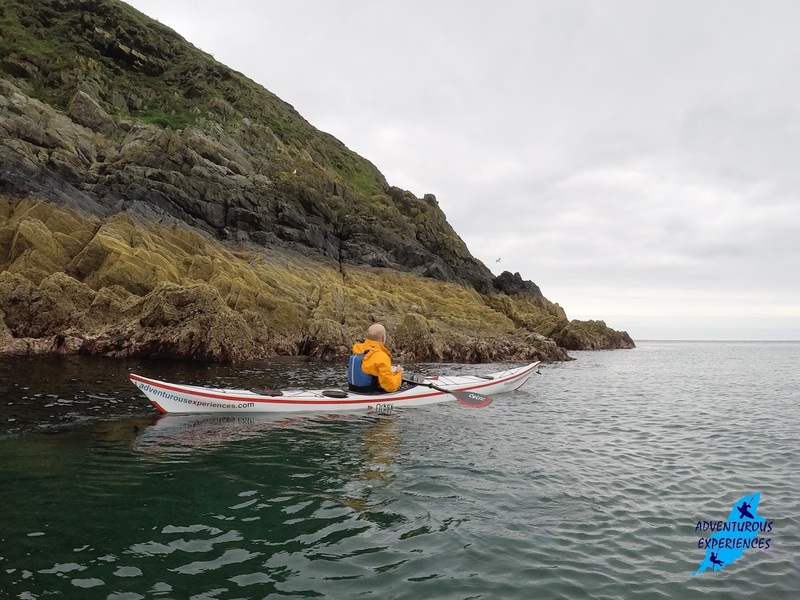 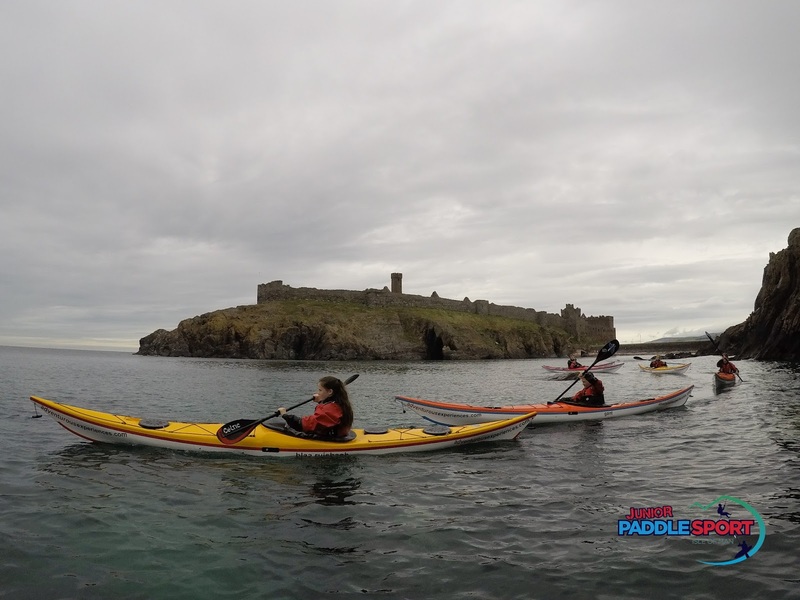 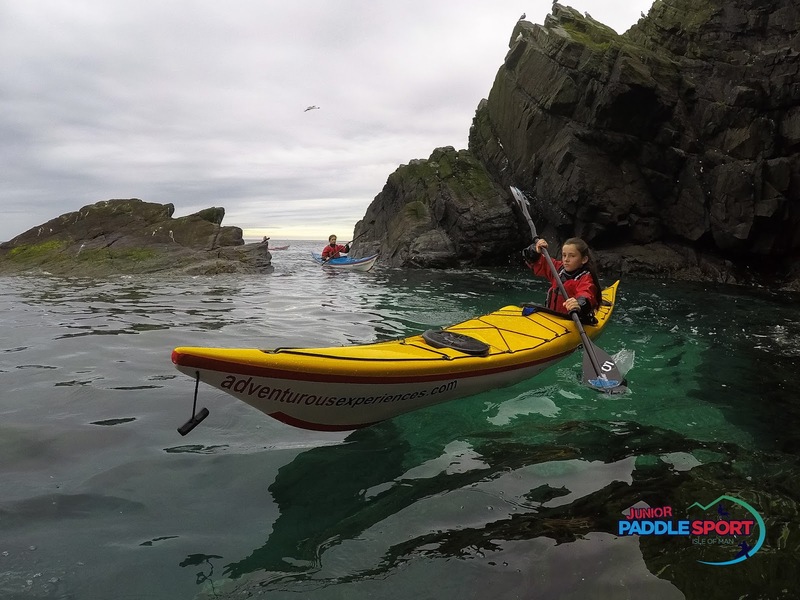 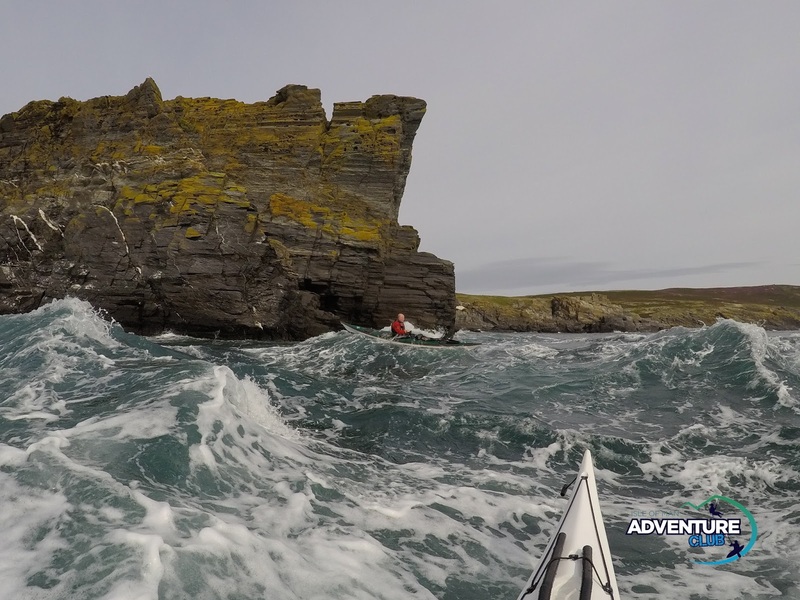 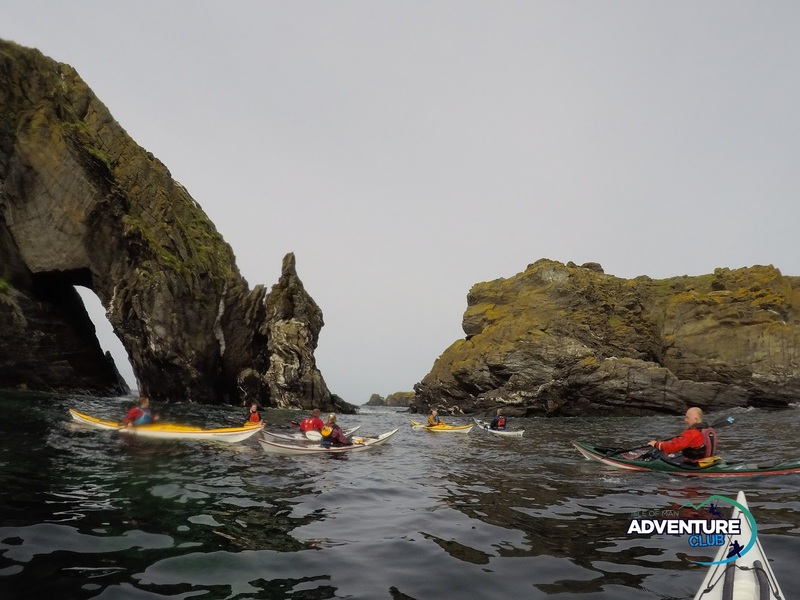 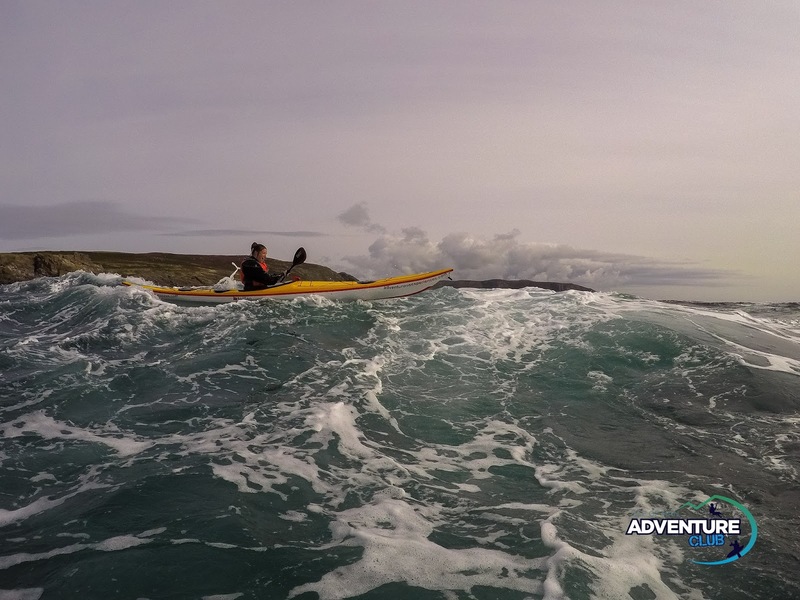 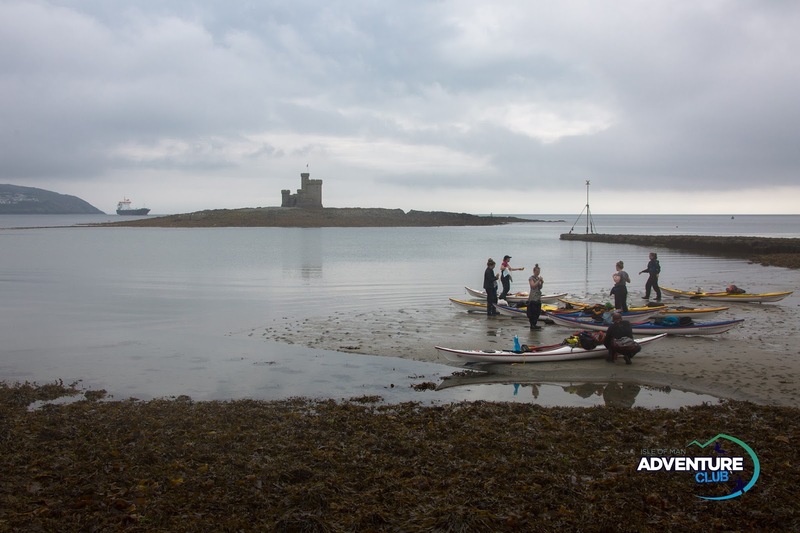 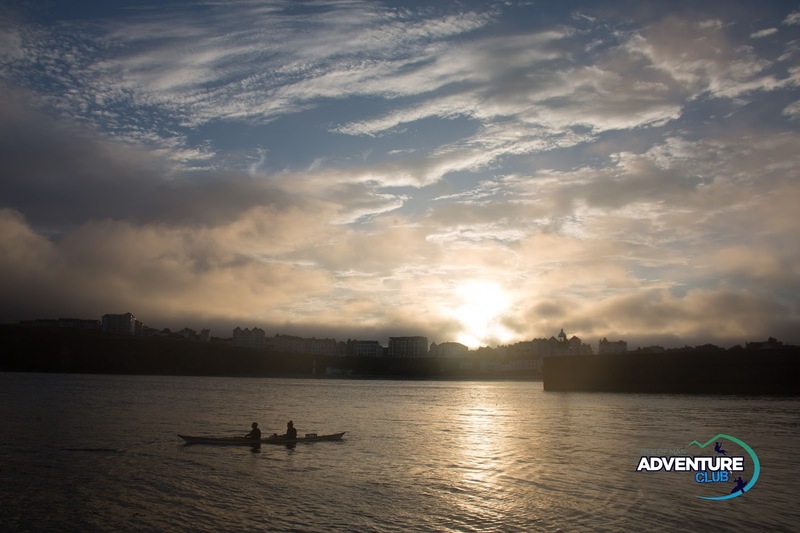 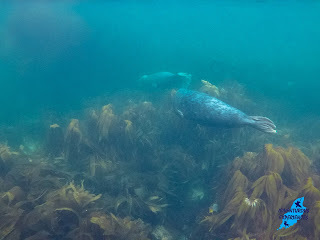 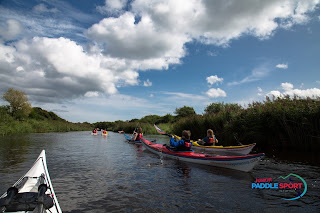 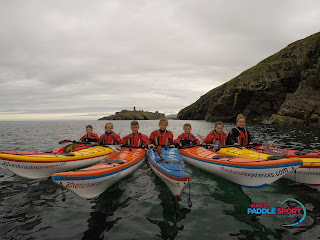 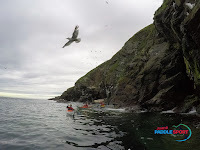 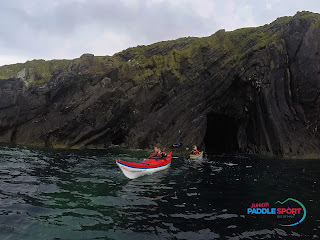 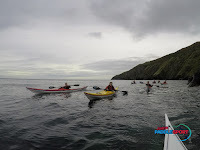 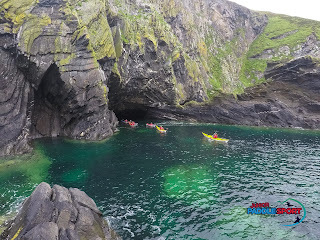 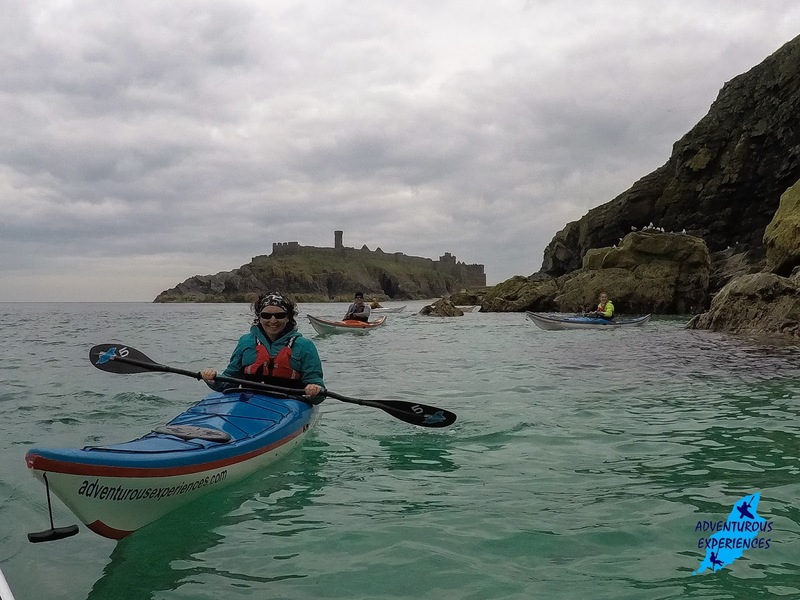 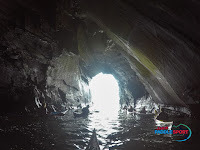 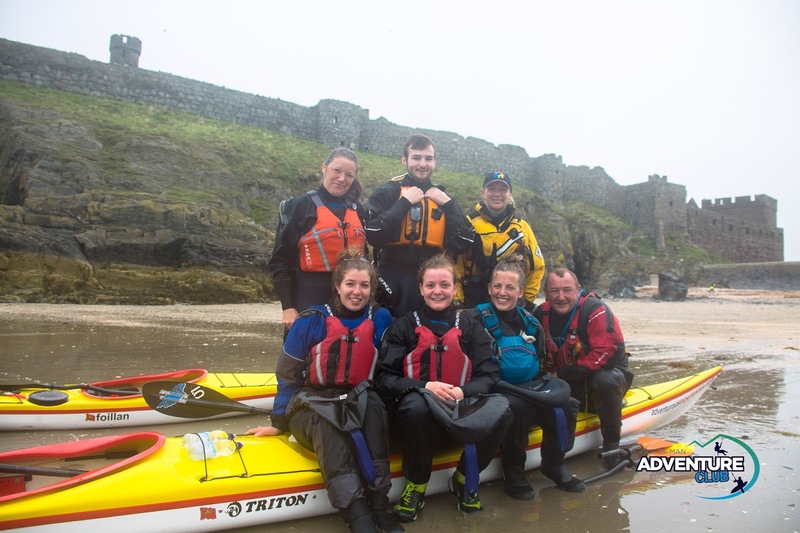 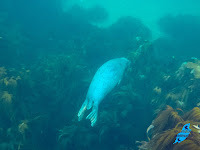 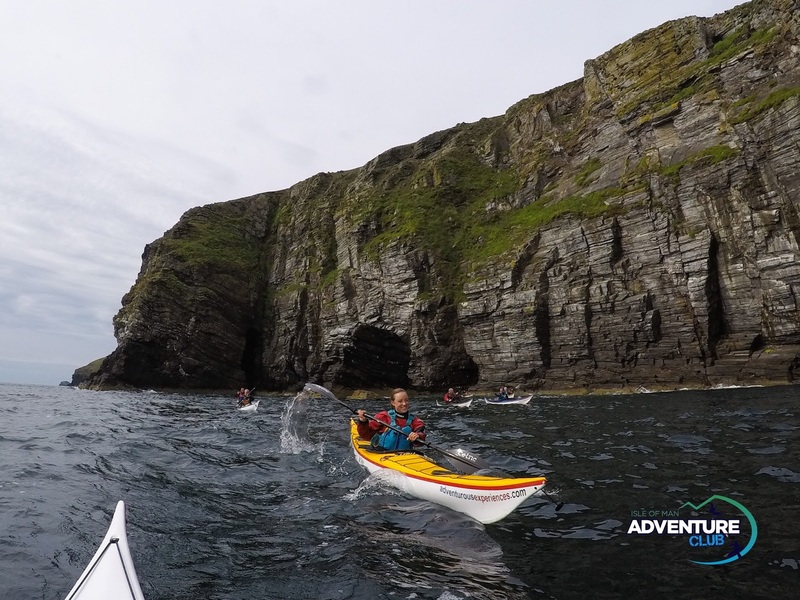 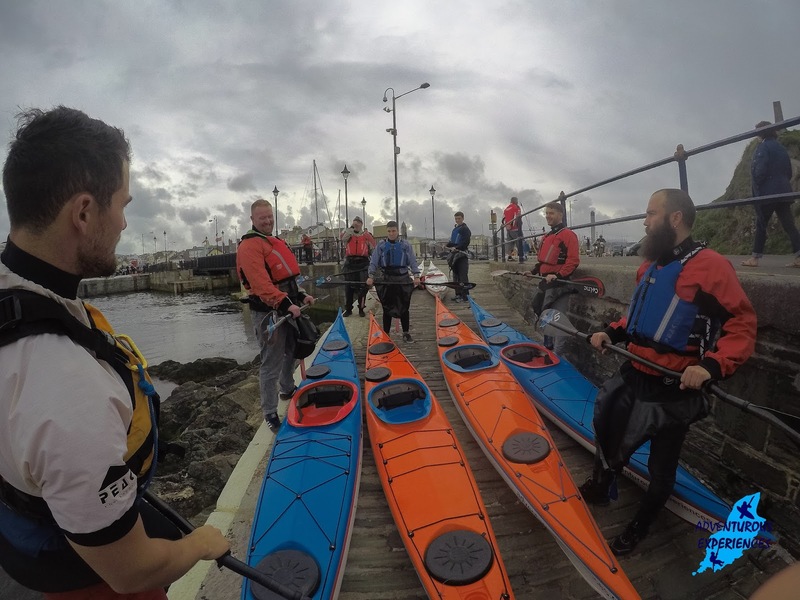 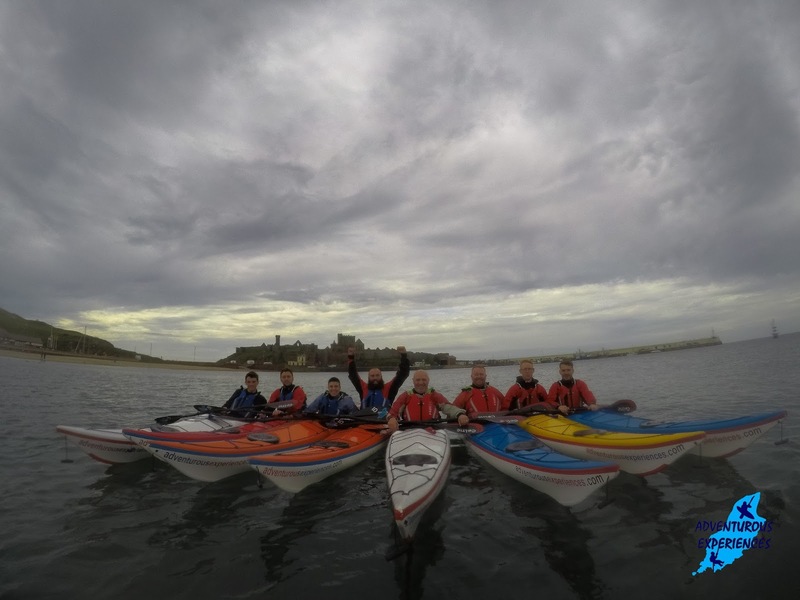 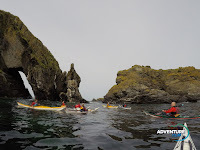 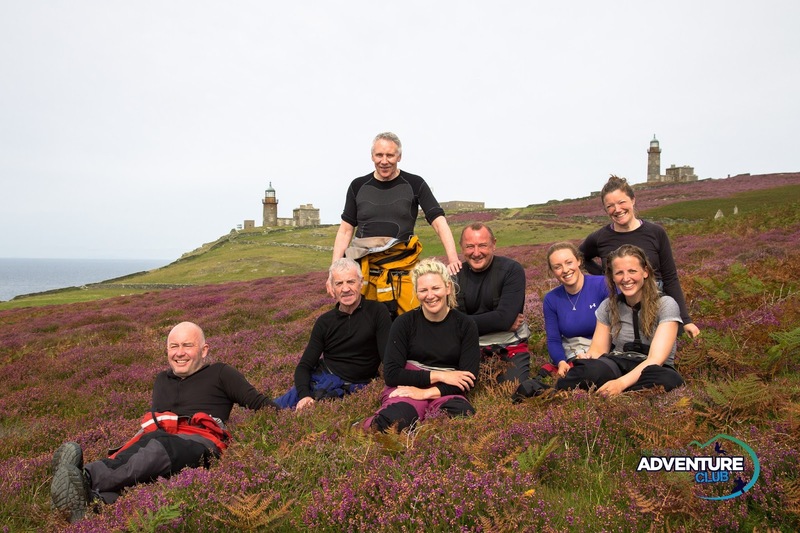 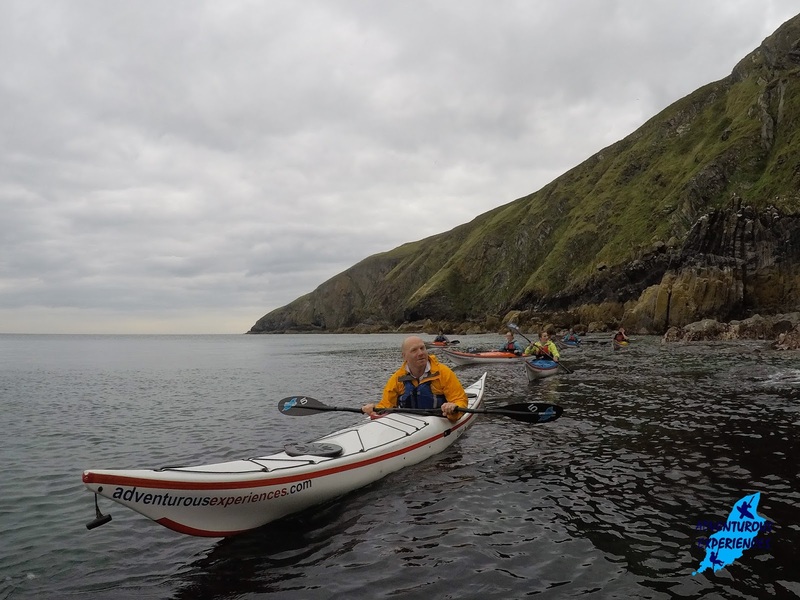 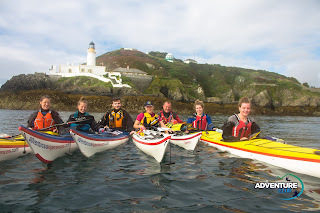 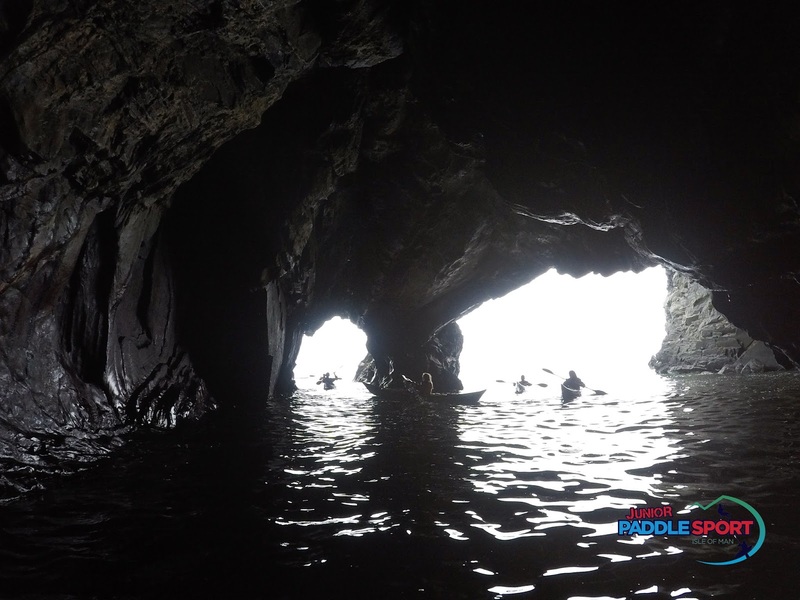 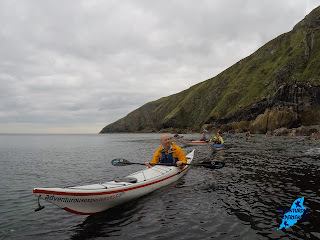 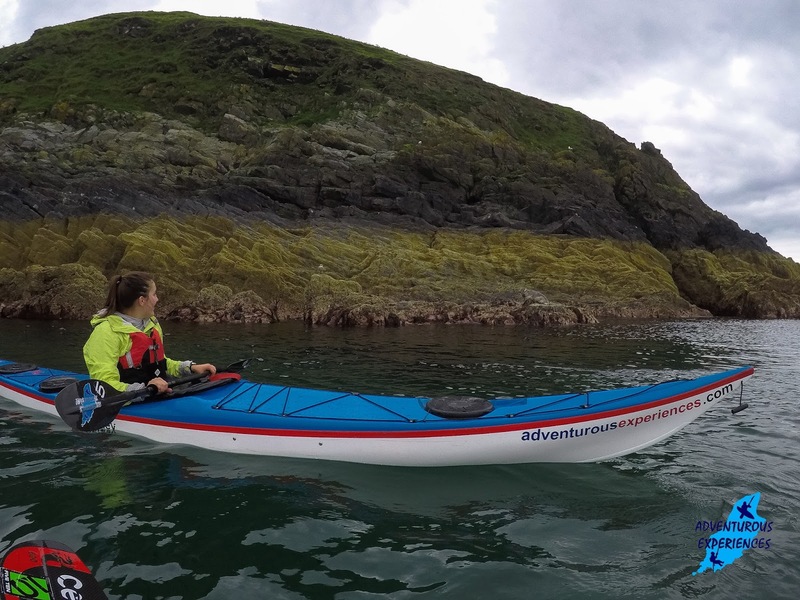 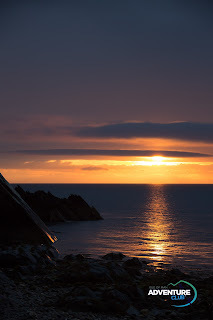 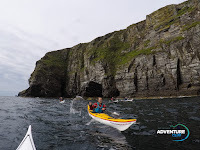 Last night's totally chilled Sea Kayaking Experience from Peel enjoyed some amazing close encounters with seals, as we journeyed south along the cliffy coastline, a warm breeze coming off the land, admiring the rock formations, clear waters, abundant birdlife and inquisitive seals! 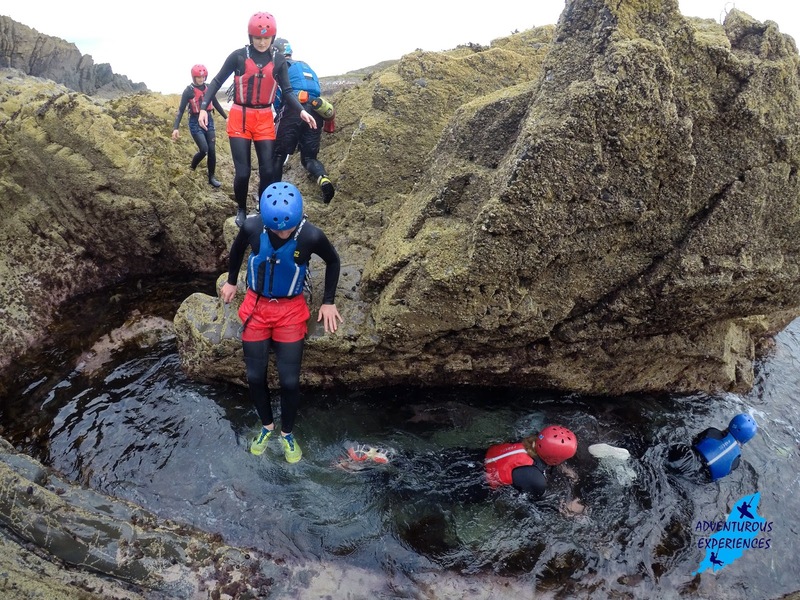 Using the 'Dragon's Breath' overfall beneath the mighty Drinking Dragon Rock, Calf of Man.